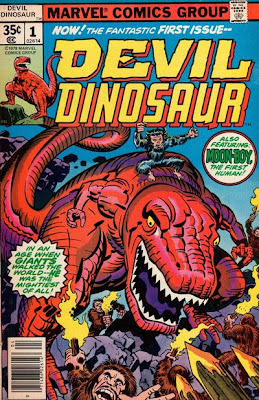 Original cover by Jack Kirby and Mike Royer; Marvel 1978. Malachi Ward's website is here. Whoops! I posted Malachi's cover last night with the intention that it would go up at a later date. Enjoy the special bonus cover. Malachi Ward is the greatest artist alive. 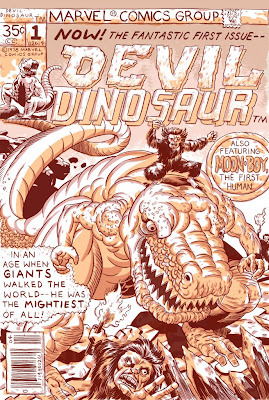 Devil Dinosaur is awesome, as is Malachi's cover. Is there anything better than drawing creatures with sharp teeth? Answer: Yes. Creatures with sharp teeth and warty scales. woah. both are equally hot.